Three catalog movies came to Blu-ray in January 2011, Eternal Sunshine of the Spotless Mind and A Beautiful Mind from Universal Studios Home Entertainment and family film My Dog Skip from Warner Home Video. 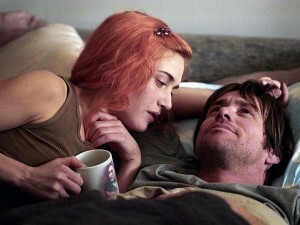 The Academy Award-winning movies Eternal Sunshine of the Spotless Mind and A Beautiful Mind both debuted on Jan. 25. Jim Carrey (The Truman Show) and Kate Winslet (Hamlet) star in the 2004 quirky romance drama Eternal Sunshine of the Spotless Mind, in which a couple erase each other from their memories when their relationship sours, but then realize what they had together. Elijah Wood (The Lord of the Rings trilogy), Mark Ruffalo (The Kids Are All Right), David Cross (TV’s Running Wilde), Kirsten Dunst (Spider-Man) and Tom Wilkinson (Rush Hour) also star in the R-rated movie. and My Scenes bookmarking feature. All the special features except the last two are on the Eternal Sunshine of the Spotless Mind Collector’s Edition DVD . Four-time Oscar-winner A Beautiful Mind , starring Russell Crowe (Robin Hood) as the brilliant economist and mathematician John Forbes Nash Jr., whose illness made him believe in people who weren’t really there. The cast also includes Ed Harris (Gone Baby Gone), Jennifer Connelly (Creation), Christopher Plummer (Sound of Music), Paul Bettany (Legion) and Josh Lucas (Peacock). 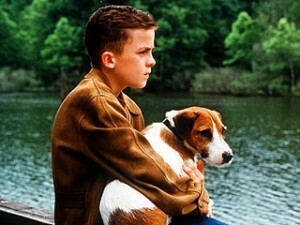 Family drama My Dog Skip, about a shy boy who grows up in 1940s Mississippi with the help of his beloved dog, Skip,was released on Blu-ray on Jan. 4. Based on the book by Willie Morris , the movie stars Frankie Muniz (Walk Hard: The Dewey Cox Story), Diane Lane (Secretariat), Luke Wilson (Tenure) and Kevin Bacon (Tremors) and grossed $34 million when it ran in theaters in 2000.
and commentary with director Jay Russell.